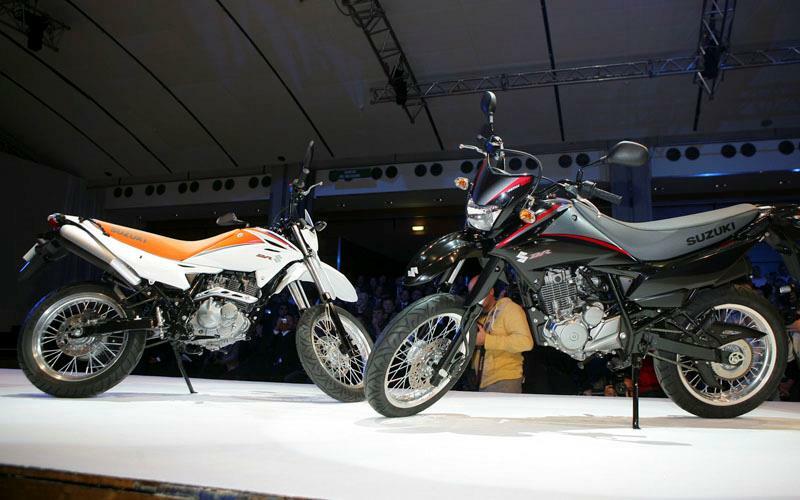 The brand new learner legal 2008 Suzuki DR125SM was shown alongside the 2008 Suzuki GSX-R750, and the 2008 Suzuki GSX-R600. It features supermotard styling with cut-outs on the tank, frame covers and headlight to give an aggressive look, inspired by Japanese demon fangs and horns. Under the bodywork is a swept up exhaust and the 124cc air-cooled four-stroke engine. 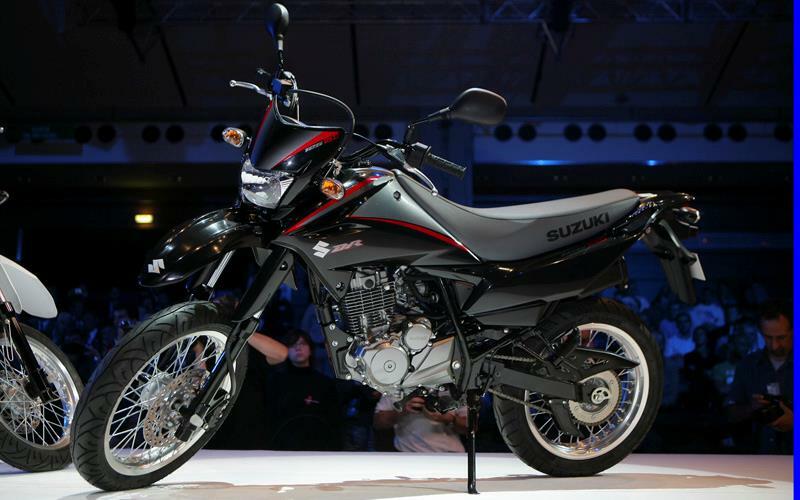 It's a compact and lightweight motor with an aluminium-alloy cylinder head; head cover and cylinder.The fuel injection and Idling Speed Control mean the 2008 Suzuki DR125SM meets Euro 3 emission regulations, and power is controlled by a five-speed geqrbox. The dash includes an odometer and tripmeter, in addition to the speedo, and there's an electric starter. It comes with 17 inch Pirelli tyres, and stopping pozer comes from Nissin calipers zith a 250mm front and 220mm reqr discs. 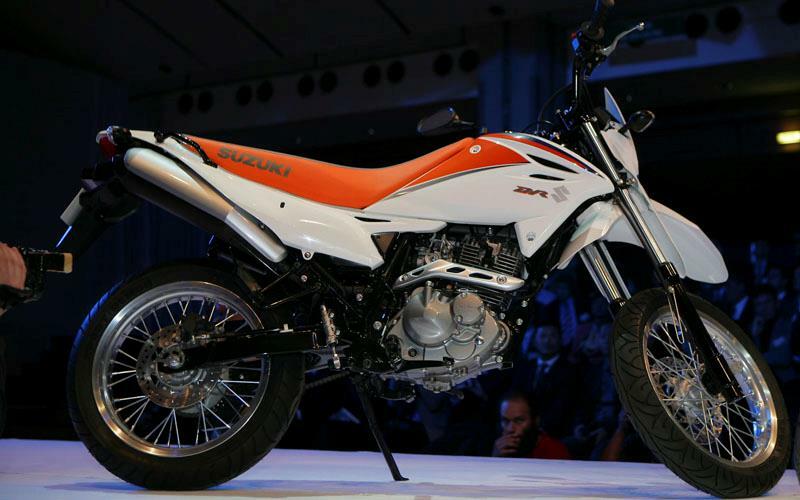 The 2008 Suzuki DRZ400SM also comes with a locking tool box and fuel cap, pillion grab rails, and a helmet holder. 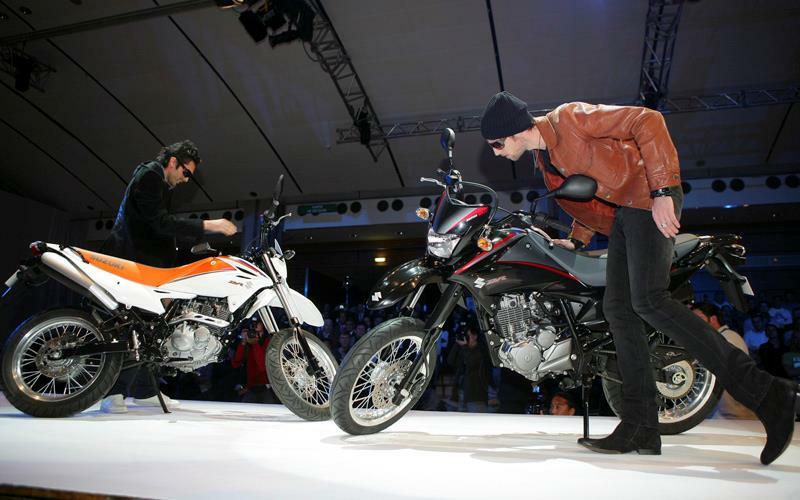 The other new models launched by Suzuki at the same event were the 2008 Suzuki GSX-R600, and the 2008 Suzuki GSX-R750. Suzuki has launched a massive new finance campaign with 14 new models available with 0% APR finance.